We are proud to announce that Human Rights defender Peter Tatchell has offered to support the Rainbow Jews exhibition launch in February 2014. Peter Tatchell will be one of the high-profile speakers to open the exhibition at LSE on 06/02/2014. 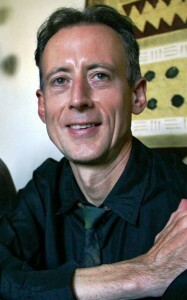 Peter Tatchell was born in Melbourne, Australia, in 1952. He has been campaigning since 1967 on issues of human rights, democracy, civil liberties, LGBT equality and global justice. His human rights inspirations include Mohandas Gandhi, Sylvia Pankhurst and Martin Luther King.